Hello Holdrege residents! At Crystal Clear Carpet Care, we’re not only your home carpet cleaners but we do commercial properties, too! In addition to floor cleaning, we offer other comprehensive cleaning and diagnostics such as mold testing. Do You Need Our Mold Testing Services in Holdrege? 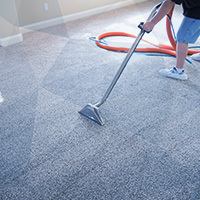 At Crystal Clean Carpet Care, we understand both the structural implications and health concerns that mold can cause, which is why we want to get in as soon as possible to contain and alleviate the mold infestation. If you’re experiencing a mold infestation, you’ve likely had water damage. Mold grows in damp areas where there is high moisture, and it takes a minimum of 48-hours for the mold to spore and spread to different materials and home structures. Mold can cause structural damage to a home because as it grows it destroys the integrity of the material making it weak and less able to bear weight. Catching mold before it reaches this stage will prevent costly home renovations and repairs. Mold can also adversely affect your health, causing respiratory issues, fatigue, headaches, and an overall compromised immune system. It’s important to address mold growth quickly, so there are no lasting health complications. Why Crystal Clean Carpet Care For Mold Testing? Because of the quality and effectiveness of our equipment, we are able to address mold and completely get rid of it. We’ll assess and test for mold beforehand and then again afterward to make sure the problem is thoroughly gone. Whether your mold is sporing from the ceiling or in the tile and grout in your bathroom or kitchen, we can tackle any mold issue. 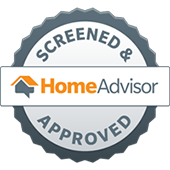 If you’re in Holdrege and need more than just mold testing, we can also address water damage, air ducts, vehicle detailing, and floor care. We’d love to provide our comprehensive cleaning services to your Holdrege home today! Schedule an appointment with us today. Contact For Free Quote Today! ©2018 Crystal Clean Carpet Care. Do not copy. All rights reserved.